�.At the time of the Louis-Walcott Fights, it was the �talk of the day�. As young boys, others encouraged my brother Terry and me to �prize fight�. I remember once that Terry was Joe Louis and I was Jersey Joe Walcott. We didn�t get too rough because Mama and Daddy would get involved. Radio was our source of news and entertainment. We listened to news, music, crime shows and cowboy programs- I can still hear Hi Yo Silver and the Lone Ranger music ("March of the Swiss Soldiers" finale of Gioachino Rossini's William Tell Overture). Prize fighting was popular. Joe Louis was the heavyweight champion. Jersey Joe Walcott was a challenger in the late forties. Walcott never beat Louis but did win the crown from Ezzard Charles at the age of 37 in 1951. At the time of the Louis-Walcott Fights, it was the “talk of the day”. As young boys, others encouraged my brother Terry and me to “prize fight’. I remember once that Terry was Joe Louis and I was Jersey Joe Walcott. We didn’t get too rough because Mama and Daddy would get involved. 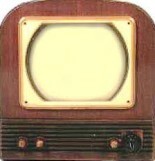 Our first television came around 1950 or 1951. It was a small 6 inch screen that had been owned by my maternal Uncle Harold McAfee who lived in East Point. He bought a larger set and helped Daddy connect the small set. It didn’t work too well. We then got a Philco, maybe a 12 inch screen. It brought a lot of news, entertainment and other events into our home in rural Oconee County. 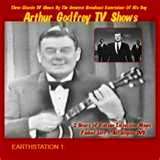 Arthur Godrey was a radio and TV personality of the 40s and 50’s. He was one of the most popular television personalities of the 50s. He hosted a daily mid-morning show and two CBS weekly series. He was folksy and could be very funny. In those days, we took our Senators and Congressmen seriously. On one occasion, Godfrey made a critical remark about Herman Talmadge of Georgia. He lost some of his glitz with many Georgians after that incident. There are memories of Howdy Doody and Buffalo Bob which was a national syndicated show. Atlanta had its own version with Woody Willow and Officer Don. Children would be guests on the show. We never were but our cousin, Colette Dellinger of Decatur, was once on the Woody Willow Show celebrating a friend’s birthday. The Woody Willow show began in the late 1940s on channel 2. I Love Lucy was a popular family show.Lucy and Desi and their neighbors (Ethel) could get into some involved situations. In the early fifties, Lucille Ball was expecting and was pregnant on the show. Fans across the country waited patiently for the birth of Luci Arnaz. I remember the day she was born. At that time, Mama Hassie still lived in the Homeplace. When we finished milking at the barn we would go by her house and leave some milk before going home. Our milk barn had a radio and we could hear news, music and other stuff. In my mind, I can still hear Little Jimmy Dickens singing on that radio before sunrise a lot of mornings in the early 50’s. The Atlanta Crackers and the Ponce de Leon Ballpark were big in the late 40s and early 50s. We used to listen to them on the radio and later watched them on television. Star players included Ralph "Country" Brown, Eddie Matthews and Bob Montag. My father was a big baseball fan as were a number of my uncles. He and my Uncle J. R. Stewart were at a Crackers Game on the night Uncle J.R. had a heart attack and later died at Emory Hospital (Aug 13,1960). Daddy drove home (Watkinsville) and he and Aunt Becky then picked up my cousin, Peggy Stewart, at the University of Georgia and took her to her home in Decatur and helped with arrangements.